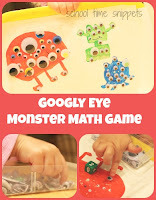 A great way to practice math concepts with your preschooler is through hands-on counting games. 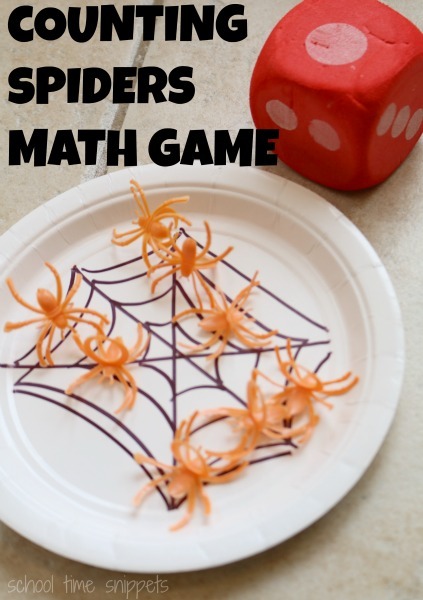 Gather a few spider ring manipulatives and a die and you'll be ready to practice counting, 1:1 correspondence, and addition with your young learner. 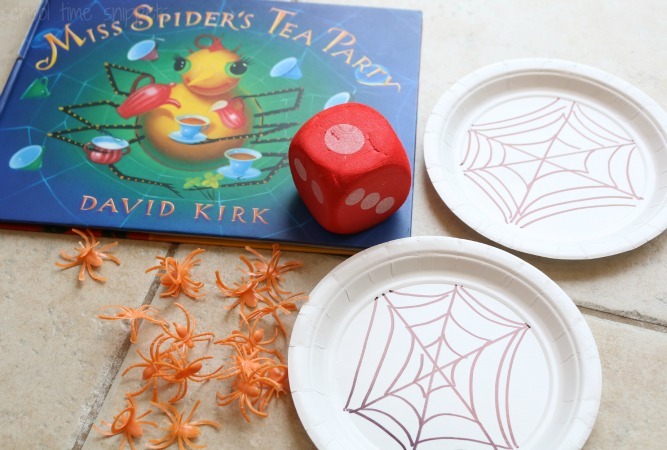 A great go-along for the book, Miss Spider's Tea Party. In this cute counting book, Miss Spider longs to have friends over for some tea, but all the other insects are afraid of her. 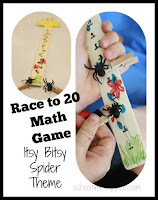 After reading the story, continue working on counting with this fun and simple Roll & Add Spiders Preschool Math Game. First, draw a spider web on each paper plate with a sharpie. Now you are ready to play! 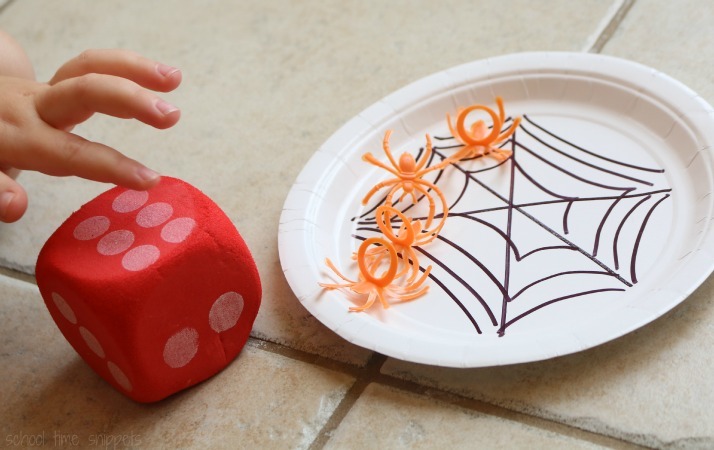 To play, simply roll the die and add that many spider rings to your paper plate. The player with the most spiders on their paper plate web, wins! Or you can practice counting to 12 like the book, however you will need to make sure you have enough spider rings. It is such a simple and fun game! Enjoy playing it with your preschooler!